The Plaintiff Universal Patents Inc. was heartless. 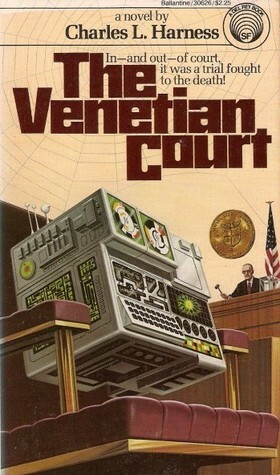 The judge Rex "Spider" Speyer was merciless. Ellen Welles' case seemed hopeless. Unless her lawyer could locate the mad creator of FAUST - the robot-inventor who'd given Universal Patents its stranglehold on the world economy - she was sure to die for patent infringement a capital crime in the twenty-first century. As has been mentioned in a comment by user14111 it is possible you read the initial short story version published in Analog in 1981. I found this by Googling "short story" with death sentences for patent infringements (part of the title of the question) which turned up this review. From there I was 99% sure it was correct but I checked Goodreads and a couple of other links for the work to be sure. Find my short story: Unexplainable darkness for three days. Brazilian author?